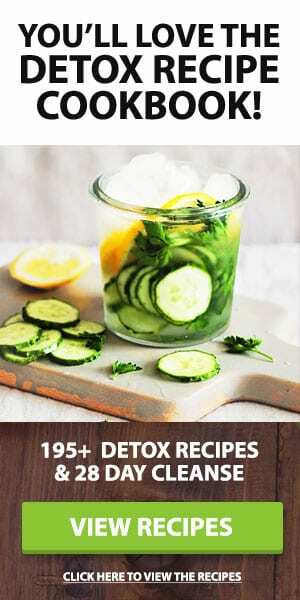 This refreshing cucumber detox water recipe is designed to keep you hydrated and help curb cravings, and one of my favorite detox waters to drink daily. 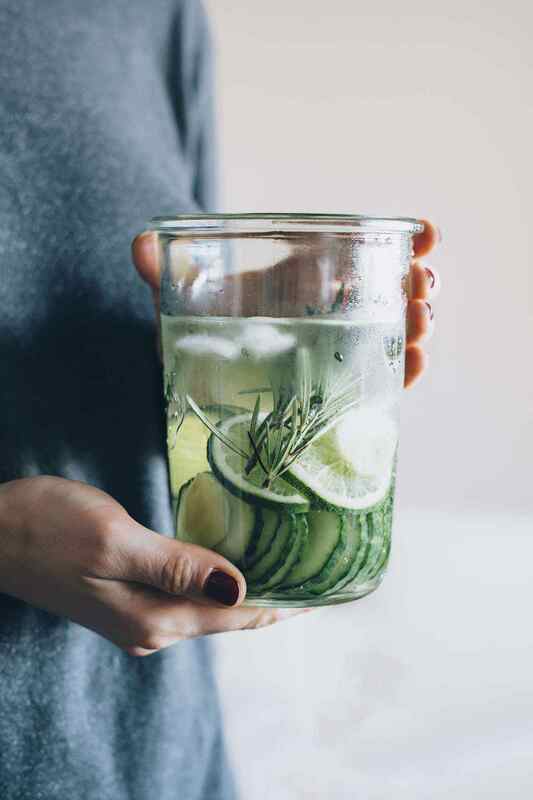 By making this cucumber water a regular part of your daily routine, you can get help with a flatter belly and a healthier digestive system. 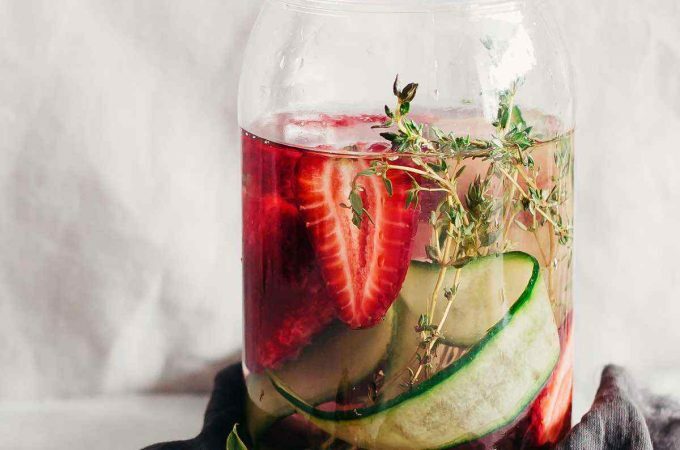 And if you’re trying to lose weight, drinking detox water can be a healthy habit to aid the fat loss process. 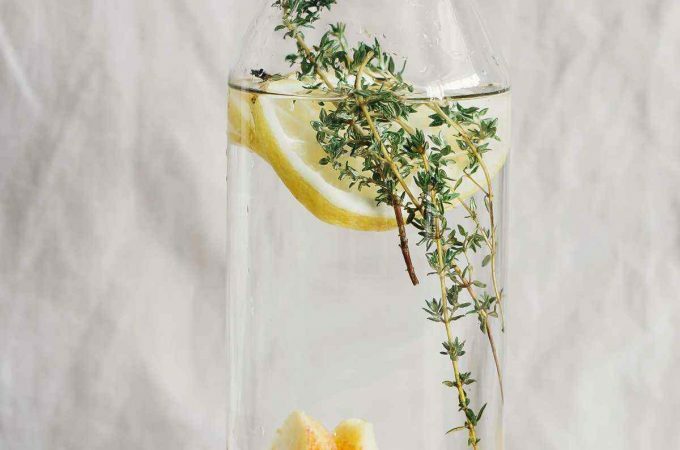 The ingredients in this flat-belly water stack up to help you feel less bloated and also rev your metabolism. 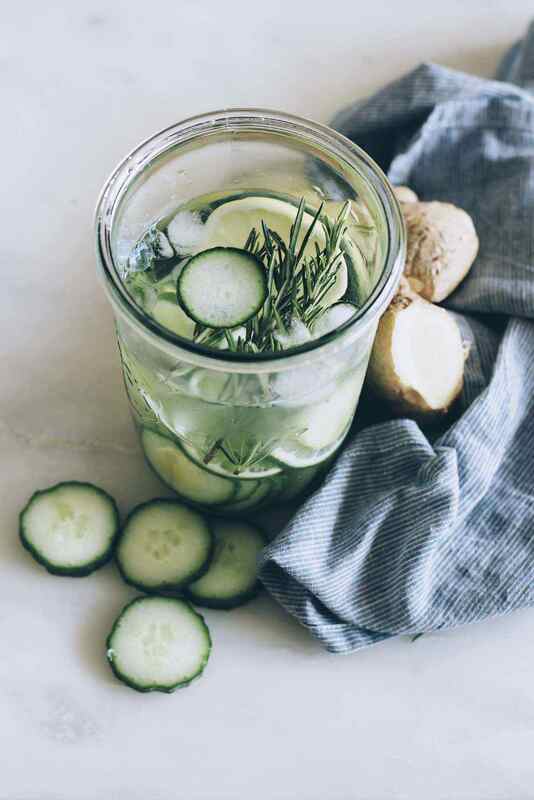 Water with cucumber has been popular at health spas for a long time, mostly due to the health benefits and great taste. Cucumbers are low in calories and high in fiber which aids weight loss, and also helps increase your metabolism (1). Meanwhile, ginger is because it helps improves digestion. Ginger is also well known for its anti-inflammatory properties (1). 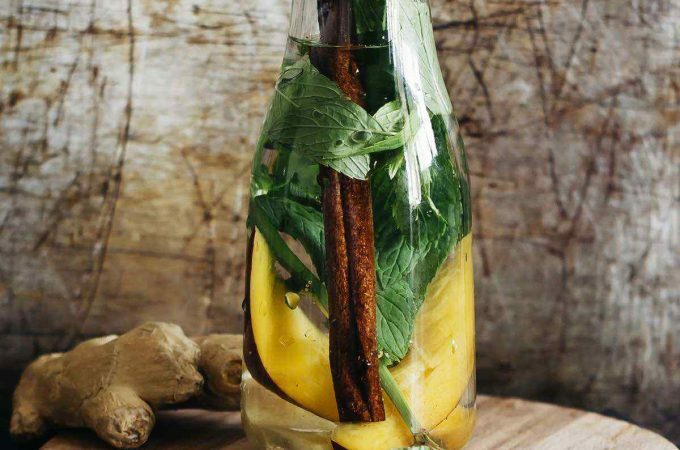 I can’t imagine a detox water without lemons or limes, which are excellent sources of vitamin C. A little dash of blood-sugar-balancing cinnamon will enhance the health benefits of this water. 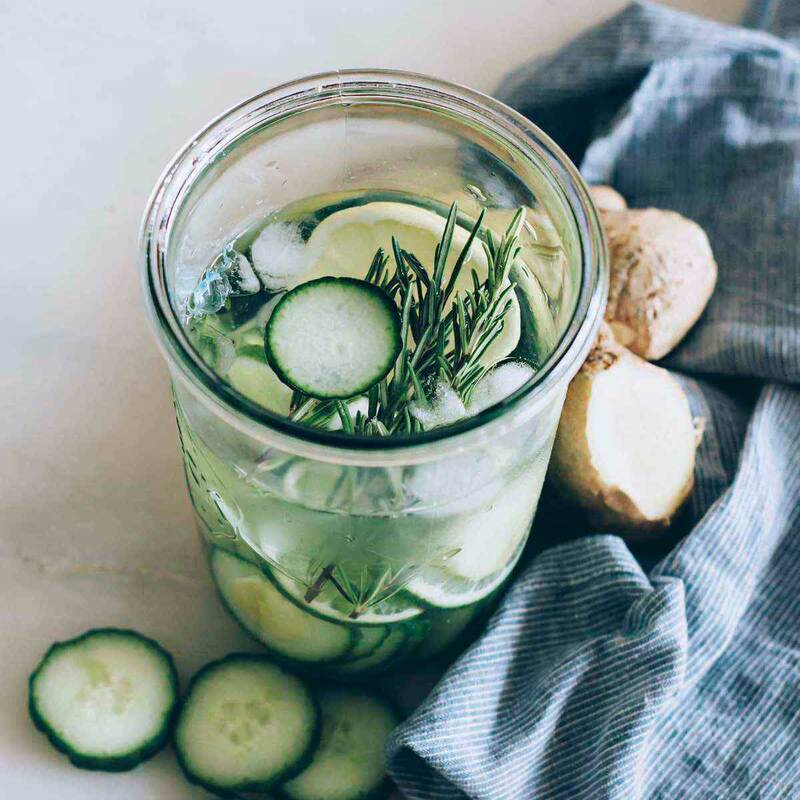 I also hide a little bit of cayenne pepper among the nutrients of this flat belly water, as it’s one of the best natural spices for weight loss. 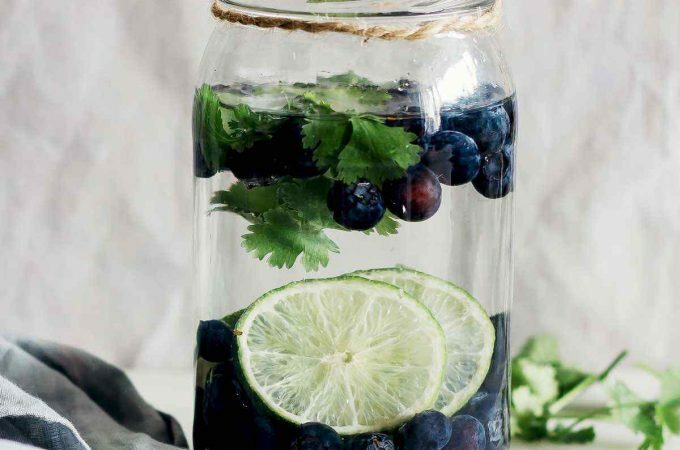 Adding it to your water will curb your appetite, burn calories and slightly speed up your metabolism, while also promoting overall good health (2). 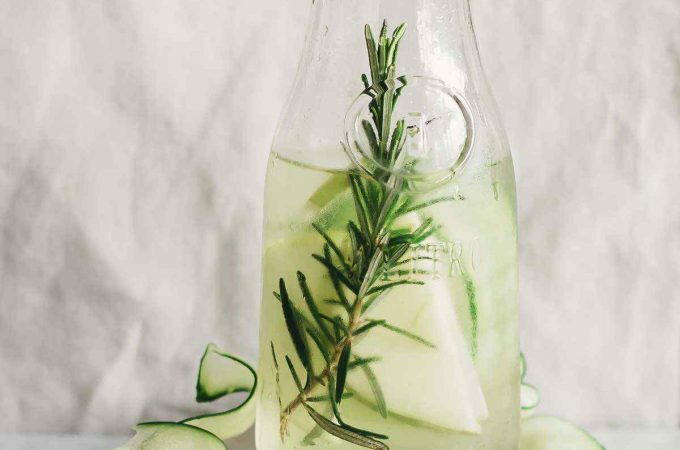 Instead of using the classic addition of mint in the flat belly water, this time I experimented with rosemary. 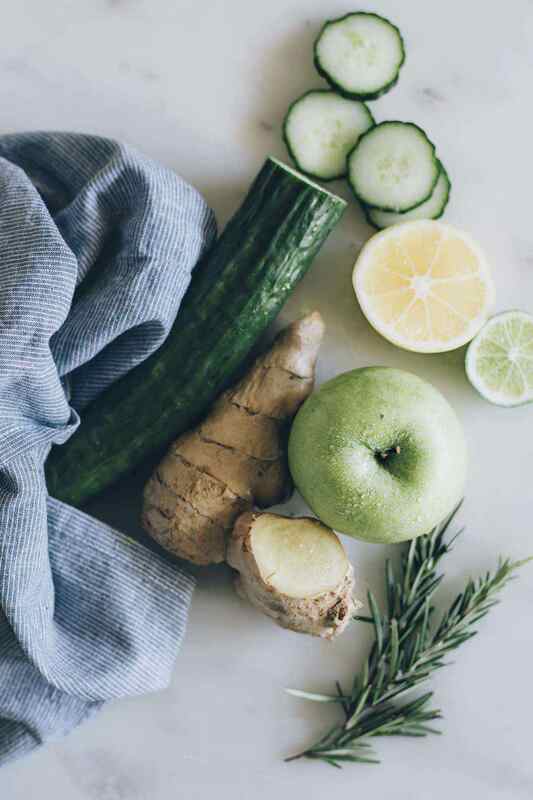 This intensely fragranced healing herb is one of the most beneficial natural ingredients for your digestion, stimulating your digestive enzymes, suppressing your appetite and curbing cravings (1). 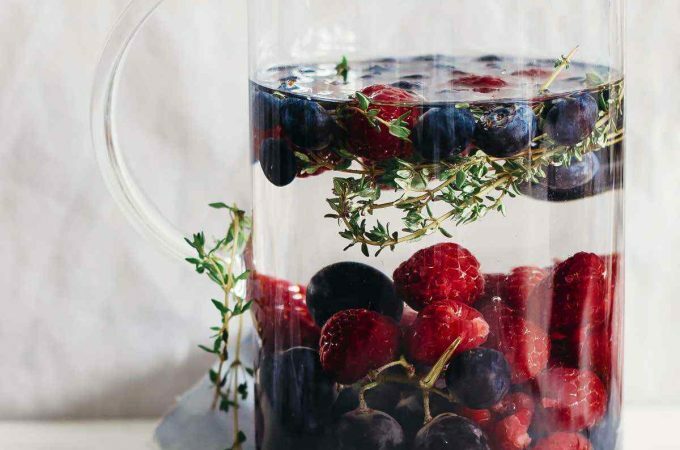 Add all the ingredients into a pitcher, mix to combine and let sit overnight. 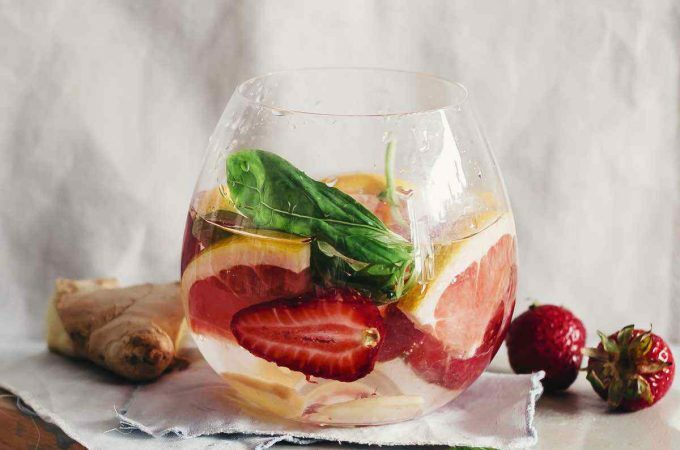 do i need to drink a glass daily?